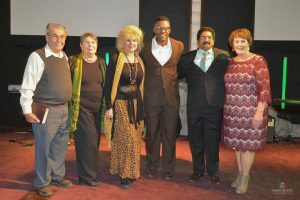 Pastor Kobe Abraham from Jesus Is the Way Ministries visited Agape recently and spoke a great word from God! He read from the book of II Kings, and he read chapter 20: 1-6. 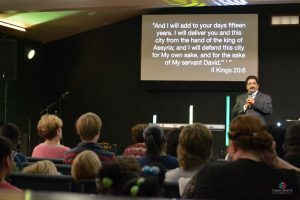 He told his powerful testimony of the struggles he faced in his life, and how God took him from a beggar to a kingdom builder. As a child he had nothing and God turned him into a Pastor that travels the world spreading the Gospel of Christ. His sermon was both encouraging and entertaining. 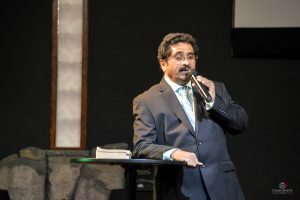 Not only did he come to spread the gospel, but to also speak to the people in America about the struggles our fellow brothers and sisters in Christ deal with when they try to spread the Gospel in India. 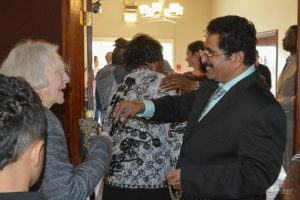 Being the giving person that he is, Pastor Abraham came bearing gifts for all the women who came to service. 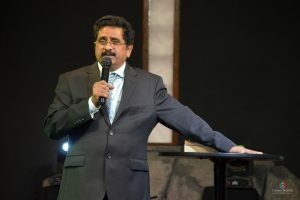 We fellowship with Pastor Abraham and his ministry in India, and he helps organize the mission work we do in his hometown, Rajahmundry, India. 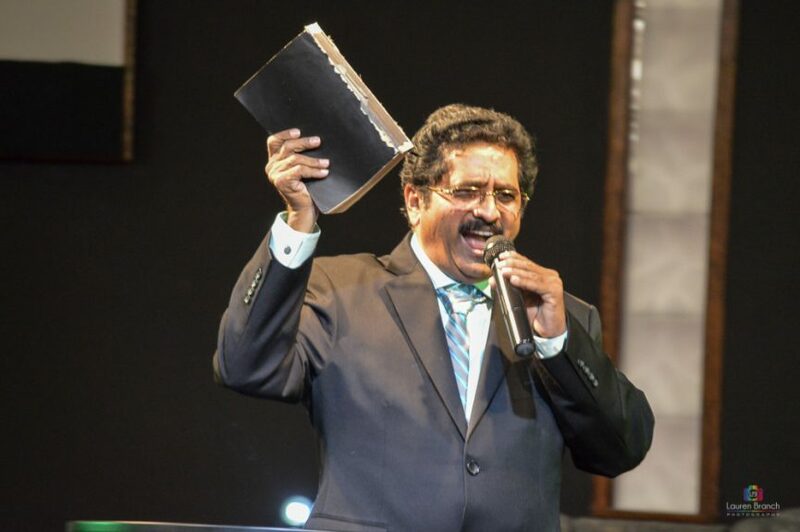 He believes that God has called him to preach to the people in the remote villages that are often forgotten. 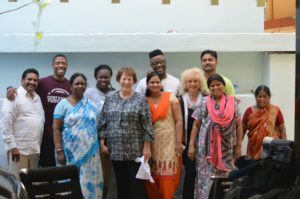 His ministry focuses on outreach, helping women receive sewing certifications so that they can make money to provide for their families, creating learning centers for training and ministry work. 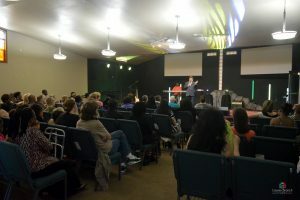 During his trip to America, he also visited other churches in the Treasure Valley, met lots of new people, preached his 1st sermon in English, tried lots of new foods, and even went to see a movie! 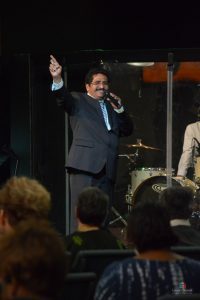 We were so glad to be able to fellowship with Pastor Kode Abraham.